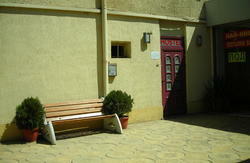 Gulliver hostel is pleased to welcome you in your home in Sofia. We are located in the very center of Sofia, the capital of Bulgaria. Hostel “Gulliver” is new, small and very comfortable hostel situated in the very city center of Sofia, only 2 minutes away from 'Alexander Nevski' Cathedral. The fact that hostel “Gulliver” is situated in the very city center give You the opportunity to see and explore the main cultural and architectural sightseeing of the city as well as all night clubs and entertainment places of Sofia. Why you should choose hostel “Gulliver”? When someone is away from home he/she would like to spend the time for rest to feel comfortable and pleasant like home, that is the reason why we have made it all for you. The rooms are brightened, the beds are comfortable,the linen and towels are clean and fresh. 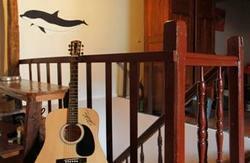 The rooms are equipped with all the necessary things to make your stay easy: cable TV, mini-bar, wireless internet. The other thing we really care a lot is the cleanness in the rooms, bathrooms and the whole hostel. We will do our best to make Your stay unforgettable and full with good memories about Bulgaria. We would like You to feel like home when You are away from it. Use tramp number 1 or 7 to the Central Sofia Market Hall( Centralni Hali). From there use tramp number 20 or 22 to the National opera station. Use bus number 84 or 284 to the Eagle Bridge(orlov Most). Rail station- 5 BG Leva ( 2.5 Euro). Airport - 12 BG Leva ( 6 Euro).